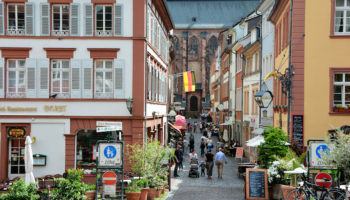 Most of us only get two weeks holiday a year, which is enough to experience the essence of Germany. 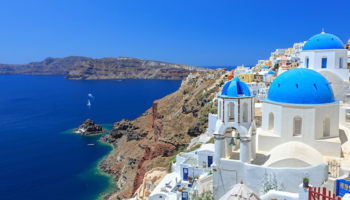 But if you’re lucky enough to have three weeks, you can add several exciting destinations to your experiences. 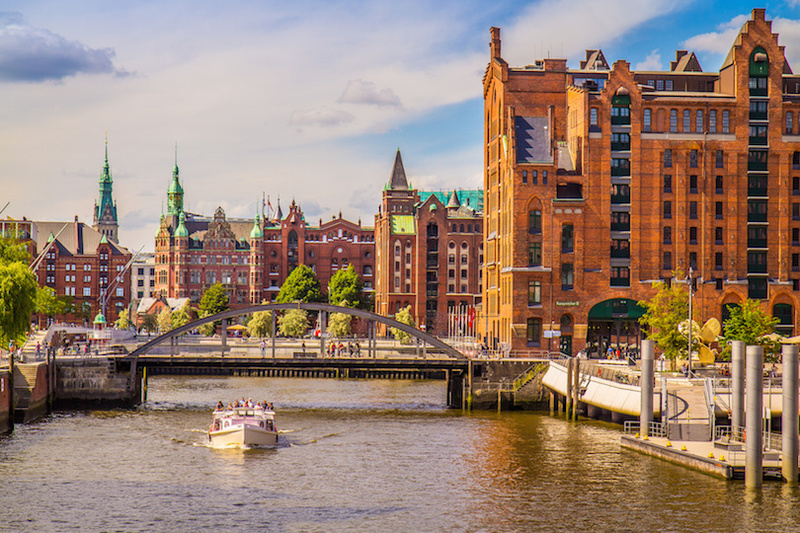 A third week allows you to travel to northern Germany, and visit even more romantic castles and charming medieval towns. 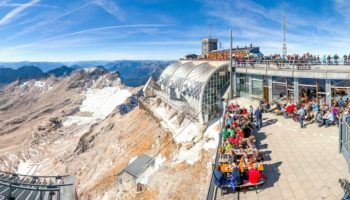 It also gives you more time to eat hearty delicious German foods, including a variety of sausages, and drink the famous German beers. 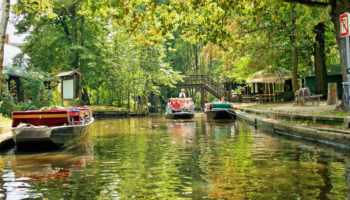 For the first two weeks see this 2-week German itinerary. 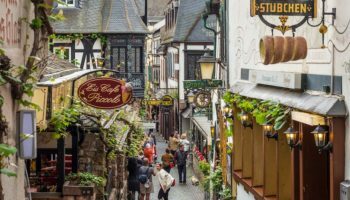 Instead of staying in Frankfurt however this itinerary takes you from Heidelberg to Bacharach where we pick up the journey. 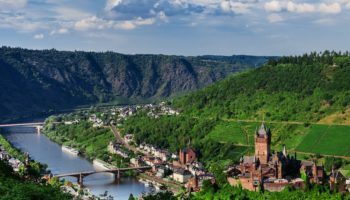 Bacharach is a good place to take that Rhine Valley cruise you’ve been dreaming about since it lies in middle Rhine River country. 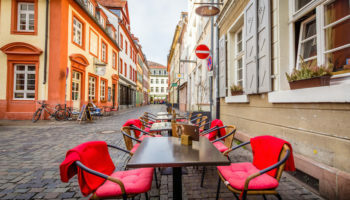 Before or after your cruise, you’ll want to explore the Old Town with its famed timber houses, towers on the wall that surrounds the city, medieval cathedrals and the hillside Stahleck Castle, now a hostel, Most river cruises last a half day. 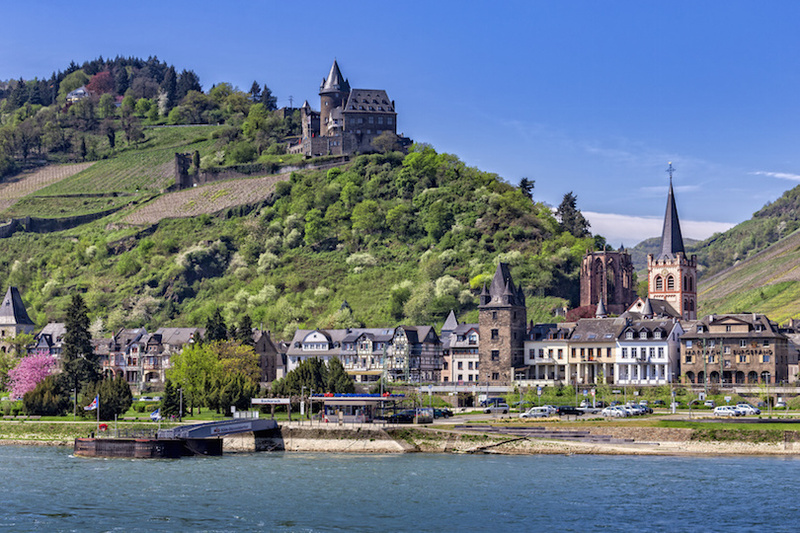 If you head south to Rudesheim, you’ll see so many picturesque castles, you may get ‘castle overload.” If you head toward St. Goar, you’ll pass by the statue of Lorelei, a muse legendary for bewitching medieval sailors. Each direction is scenic as all get-out. Cologne has a rich history, not all of it pleasant ̶ it’s been occupied by the French several times and was one of the most heavily bombed German cities in World War II. All of this contributed to making Cologne the interesting place it is today. Much of the city was rebuilt following the war, but segments of its medieval history still remain. 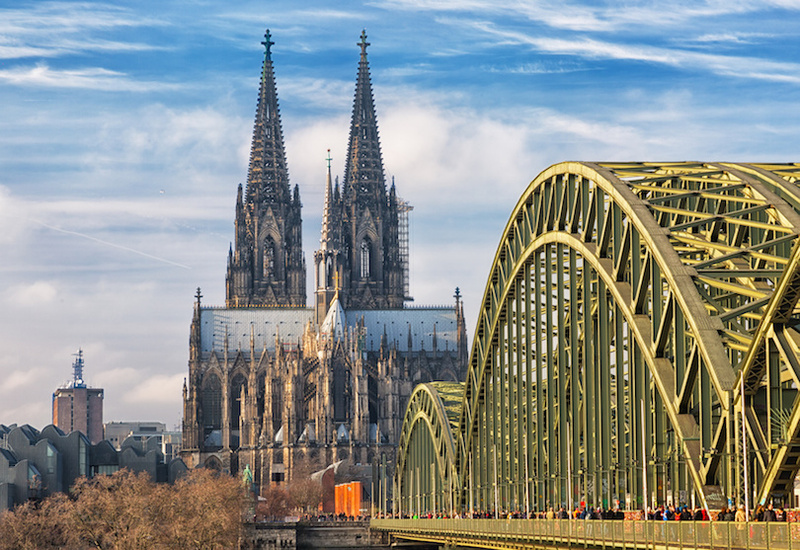 This includes the 13th century Cologne Cathedral, the most visited landmark in Germany. With 30 museums and hundreds of art galleries, you’ll soon realize why Cologne is the Rhineland’s cultural center. Cologne hosts a renowned Christmas market and one of the largest street carnivals in Europe during the winter. Hamburg was the unwitting inspiration for the term “hamburger,” ground beef that doesn’t contain ham. Chopped steak was popular with the German immigrants who traveled to the United States through this port city in the 19th century. To entice German customers, New York restaurants offered Hamburg-style steaks. After eating chopped steak here, you’ll want to visit the landmark St. Michaelis Church and town hall, both of which tower over the city. 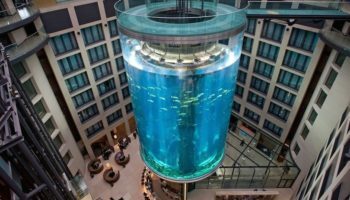 Other “can’t-miss” sights include the four-level aquarium at Hagenbeck Zoo, the huge harbor that’s said to be lit up with fairy lights at night, and Miniatur Wunderland, with its model train complex that is a favorite of all the miniatures with visitors. 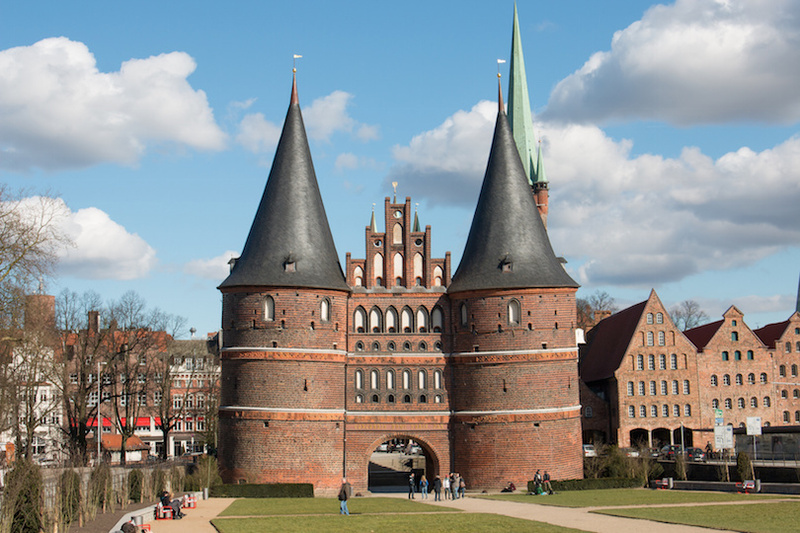 Lübeck, on the Trave River, is another major German port city that was a prominent city in the Hanseatic League. With an Old Town that sits on an island, medieval Lübeck is well known today for its Brick Gothic architecture. 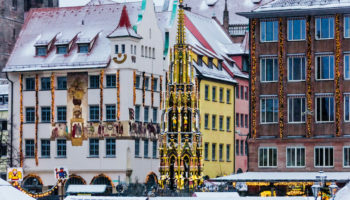 Seven church steeples dominate the center of Old Town; the oldest are the Lübecker Dom (cathedral) and Saint Mary’s Church that date from the 13th and 14th centuries. A top sight is Holsten Gate, one of Germany’s most visited sites, at the entrance to Old Town. Take time to wander Old Town’s alleys where the medieval buildings seem like doll houses. 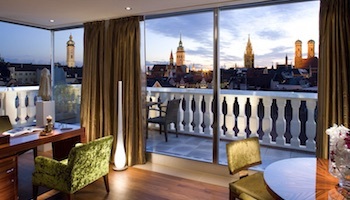 Lübeck has a museum for every taste and a charming Christmas market in December. Schwerin is a good place to break your day as you travel from Lübeck to Berlin. Surrounded by lakes in northern Germany, Schwerin is a pretty medieval city whose Old Town suffered only minor damage during World War II. 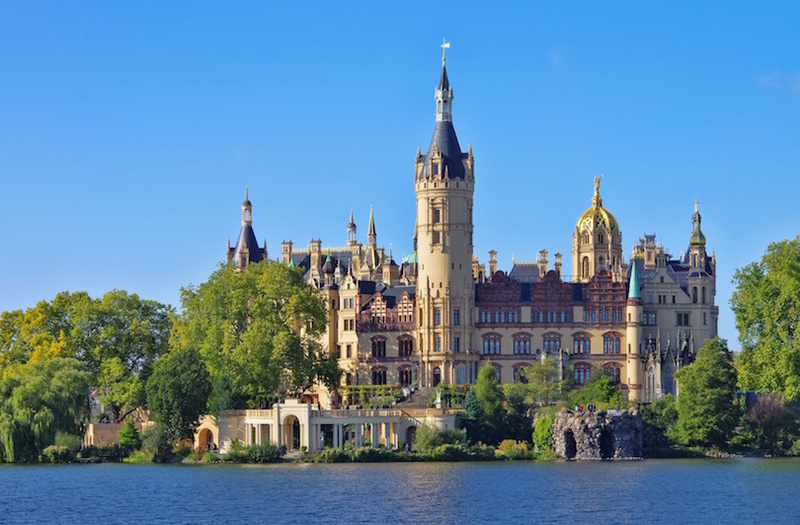 The main reason to stop here is to see Schwerin Palace that sits on an island in Lake Schwerin. 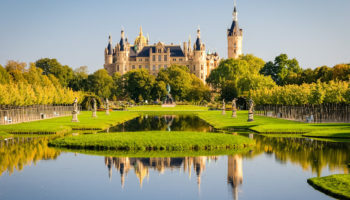 The palace, nicknamed “Neushwanstein of the North,” is considered a prime example of romantic Historicism in Europe, and was once home to the dukes of Mecklenburg. Today a state parliament meets there. The palace is said to be haunted by Petermannchen, a small ghost wearing 17th century garb. Your tour of Germany ends back where it started three weeks ago: in Berlin. Now is the time to take in sights you missed during your first visit. This includes the Holocaust Memorial, with its 2,711 concrete slabs;, and Checkpoint Charlie, the crossing gate between East and West Berlin when it was a divided city. 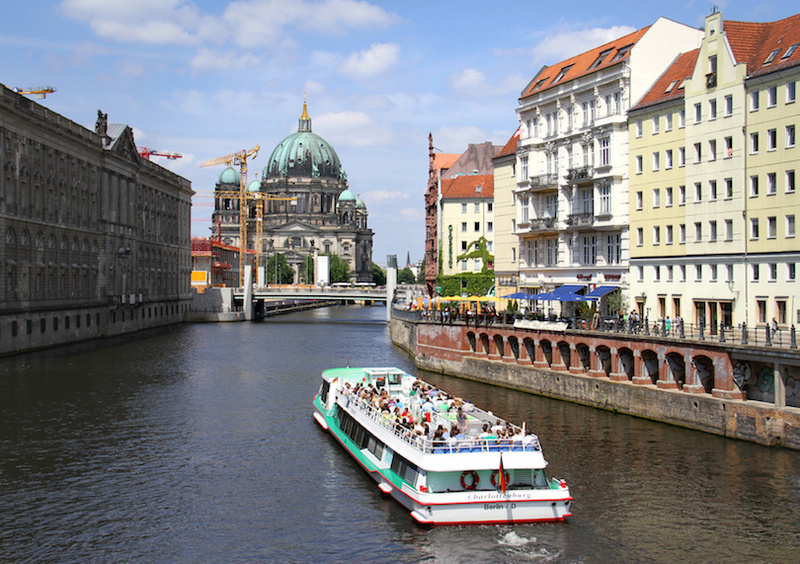 You’ll also want to visit Potsdamer Platz, the city’s main square, and the Tiergarten, a former hunting reserve that’s now a public park. It’s also your last chance to eat schnitzel, those fabulous German sausages and pork knuckles.